UH West O‘ahu has aligned its Interstate Passport to its General Education program, which is part of a University of Hawai‘i System reciprocal agreement. Any Diversification Arts (DA), Diversification Humanities (DH), or Diversification Literature (DL) course; examples include SP 151, PHIL 100, and HWST 107. Any Foundations Written Communication (FW) course (ENG 100 or ENG 100T). Any Foundations Quantitative Reasoning (FQ) course; examples include Math 100, 103, 115. Any Diversification Biological Sciences (DB) course; examples include BIOL 100, 101, 171; PHYL 141. Any Diversification Physical Sciences (DP) course; examples include CHEM 161, PHYS 100, 151, GEOL 101. Any Diversification Laboratory (DY) course; examples include BIOL 101L; CHEM 161L; PHYL 141L. Any two Foundations Multicultural and Global Perspectives (FG) courses; examples include ANTH 151, 152; HIST 151, 152. Six credits in two subject areas chosen from any DA, DH, DL courses; examples include ART 101; HWST 107; MUS 107. Six credits in two subject areas chosen from any DS course; examples include PACS 108; PSY 100; SOC 100. 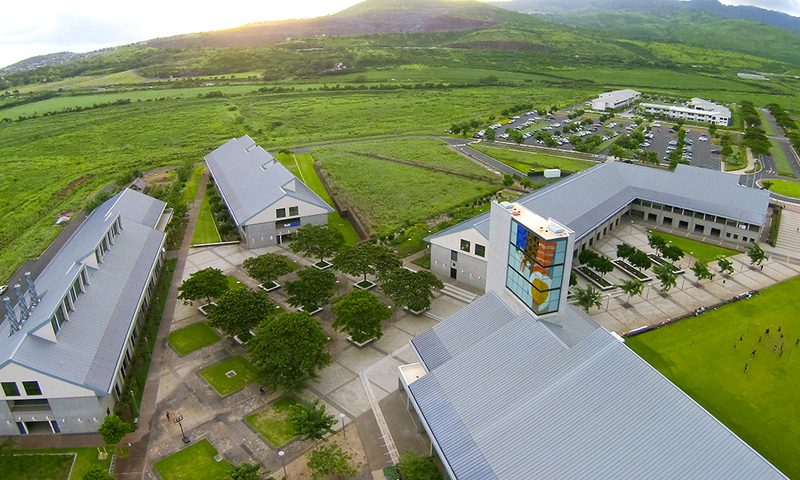 UH West O‘ahu's signature academic programs include Creative Media, Cybersecurity (Information & Security Assurance), and Sustainable Community Food Systems. UH West O‘ahu is a Native Hawaiian-Serving Institution. In 2017 The Chronicle of Higher Education identified UH West O‘ahu as the fastest-growing public baccalaureate institution in the U.S. for the period from 2005-2015. In 2018 The Chronicle of Higher Education recognized UH West O‘ahu as the fourth most diverse public four-year university in the nation. A team comprised of UH West O‘ahu and Honolulu Community College students has captured two of the past three National Cyber League championships.